Wow. I’m going to go out on a limb here and bet that you’ve never seen cot or bed linen anything like this. 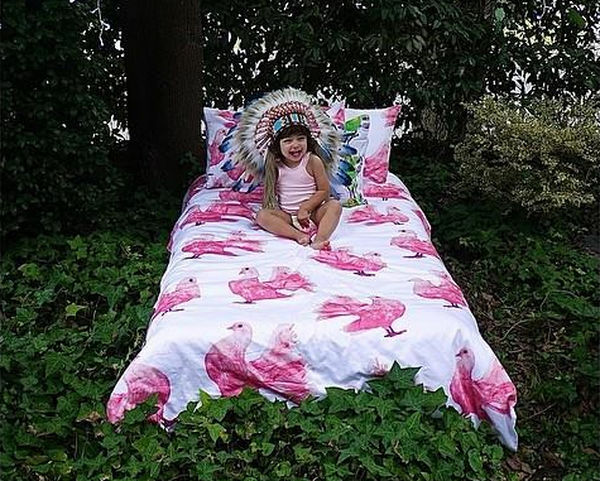 This is the brand new range from new Australian designers Dreamers Inc, and it is unlike anything I’ve ever seen in children’s linen. But doesn’t it pack a punch? 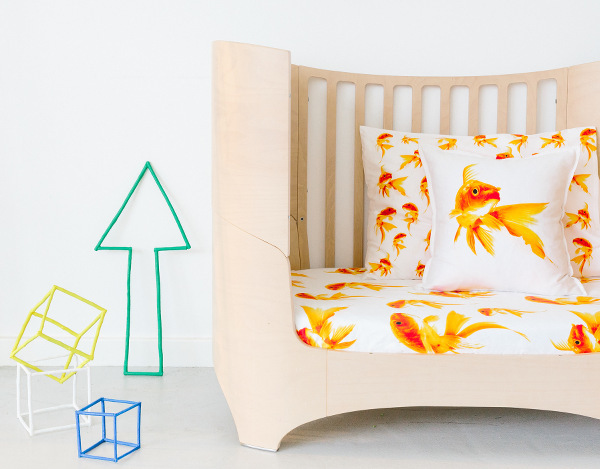 Fans of the bright and cheerful are sure to go wild for these designs for cots and single beds. Birds, insects and fish are the stars here, in glorious bright colour, with such wow factor that it makes me wonder why nobody has ever done this before! 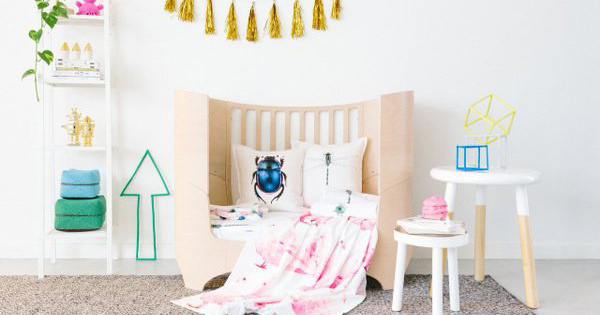 Melburnians Nina and Karin Altman are the designers behind the digitally printed range, which they created initially to suit the aesthetic of the very modern nurseries of their own children. 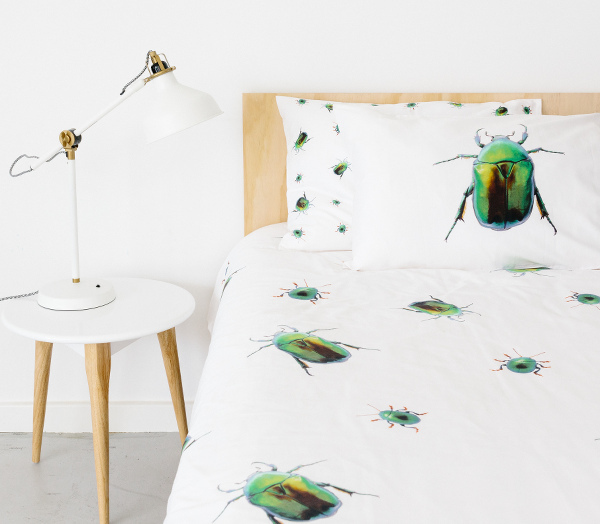 The designs are all printed on 400 thread count cotton, so they are fabulous quality as well as looking great. 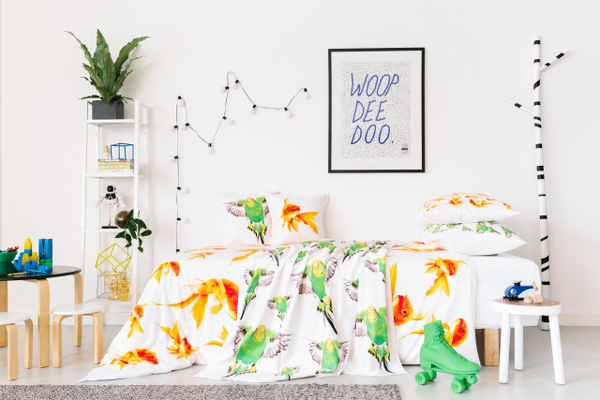 Personally, I can’t go past the goldfish cot sheets, but if you have no use for cot sheets anymore, never fear – the range is also available in single bed quilt covers, pillowslips, and throw cushions. Dreamers Inc are definitely worth keeping an eye on, and you can do that easily by following them on Instagram. You can buy their linen directly from Dreamers Inc, where cot sheets are $69 and single bed quilt cover/pillowcase combos are $169. They also sell pillowcases and throw cushions separately.